The Dow fell three points on Wednesday, but Apple set a new closing high of $111.25. Stock markets are flirting with record highs again, and more merger talk could help them get there. 1. Hasbro to swallow DreamWorks? : Shares in DreamWorks Animation (DWA) jumped 27% premarket on a report that toymaker Hasbro (HAS) is in talks to buy the company. DreamWorks is behind mega movie hits including "Shrek" and "Madagascar". 2. Ready, set, record! : U.S. stock futures are inching higher, holding out the prospect of new all-time highs for both the Dow Jones industrial average and S&P 500. The latest reading on the CNNMoney Fear & Greed index shows investors are feeling greedy again. The gauge was stuck in extreme fear in October before shifting to neutral earlier this month. U.S. stocks ended mixed Wednesday. 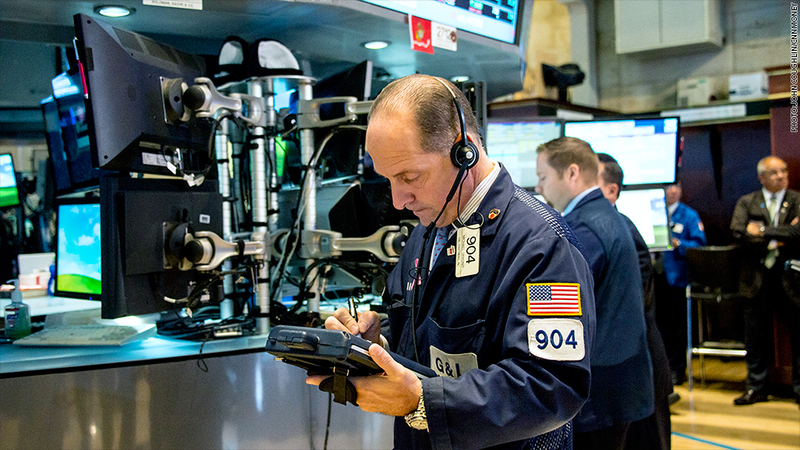 The Dow and S&P 500 edged lower. The Nasdaq gained 0.3%. 3. International markets overview: Japan's Nikkei index jumped by 1.1% Thursday, closing at its highest level in seven years. The index has surged by nearly 14% over the past three months as the yen plunged in response to massive money printing by the Japanese central bank. Meanwhile, other Asian markets ended with mixed results. In Europe, the major stock markets were all rising in early trading. 4. Earnings: It's a big day for retailers. Walmart (WMT), Kohl's (KSS) and Dillard's (DDS) will report earnings before the opening bell. Nordstrom (JWN) will report after the bell.